Have you thought about your body type and how the exercise program you follow help you build muscle? I’m pretty sure that yes because every bodybuilder should know about body types and their characteristics. If you know something about this, good. If not you gonna find further in this article how to tailor your workout in order to maximize your muscle gains. 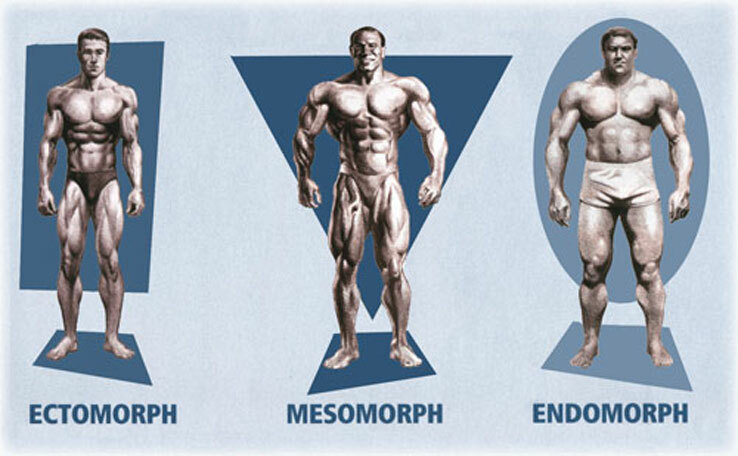 The human body can be classified into 3 types of bodies - mesomorph, ectomorph, and endomorph. We all belong to one or another type, we like it or not. We are born with a set of genetics which dictates the way we look. You may be struggling to put on some fat and look bigger, while others can’t get rid of fat they have. So, you are lean, others fat while the third category does almost nothing, eat everything and have an athletic look. You may stay in a corner and keep complaining about your problems or try to act toward minimizing them. This is the attitude of a winner, and you think so that you will definitely succeed in your to pack on great amounts of muscle despite being a hard gainer. - skinny guys you saw in the gym belong to this somatotype. They have small frames and small shoulders. “Hardgainers” is another name for ectomorphs and perhaps you heard it more often. Ectomorphs have a pretty fast metabolism and burn calories at the highest rates. That’s why it's hard for them not only to add muscle but even to gain some fat. - the lucky one guys who were born to be bodybuilders. Massive frames and shoulders, big muscle and low muscle fat. All they eat are turned into muscle and even in case of low-intensity weight training they easily keep on adding muscle mass. If you are one of them, be happy. - maybe the most disadvantaged category of individuals when it comes to muscle building. This is because they are usually short and round, have a fast metabolism, hence fat burning is very slow. If they gain weight than in most cases this is fat, so nothing to be happy about. First of all, forget about the treadmill or other cardio exercises. Unless you want to lose the existing muscle mass already. Why? Because since there are not fat to burn body begins to “eat” muscle, and this is the last thing you want to happen to you. Make workout no longer than 45 minutes and train no more than 3 times a week. Keep in mind that frequent training will accelerate your already fast metabolism, making weight gain almost impossible. Set longer rest time between sets, 3 up to 5 minutes. Perform basic training exercises like squats, bench press bar, and others and avoid isolation ones. No need to lose your time with them because of lack of effectiveness. Don’t run for more weekly training as you may get overtraining. More than this, muscle grow while you rest, so make sure you allow enough recovery time. And follow a rich in protein, carbs and fats DIET. Eat at least 4-5 times a day. Add some supplements too. Have a protein shake an hour before the training and after a workout. Consider some BCCA as well as multivitamins and essential acids. Almost everything you do will help you build muscle. 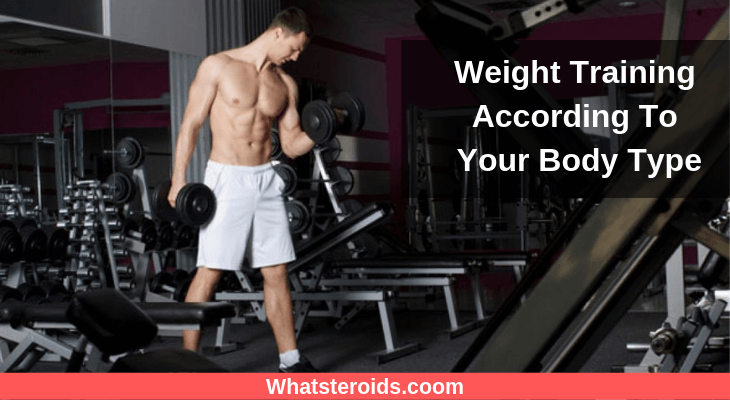 As long as you eat properly - protein, carbs, fats - and progressively increase the amount of weight you lift you will not be wrong. You are free to choose from the wide range of types of workout and experiment. Mix compounds with isolation movements, focus on different muscle groups on specific days, add some cardio to keep off any fat. If there was to name a category who gain muscle lean muscle fast then this is a mesomorph. However, keep the fat level under control too. Compound exercises with a good cardio program. It can be a HIIT program or a circuit training. Select 3- 5 exercises and perform all of them with no pause. Then take a 2-minute break and begin a new circuit training. Whatever you choose remember that fat is your biggest enemy. Diet is very important. Fewer carbs, more protein and very careful selection of fats. In order to make an exercises program successful, ambition, persistence, work hard are detrimental important. If you have them, then surely you will get out of the tunnel with a different appearance. If not, find the motivation that will cause you to do it. It can be everything. Just have to drive you in the right direction.